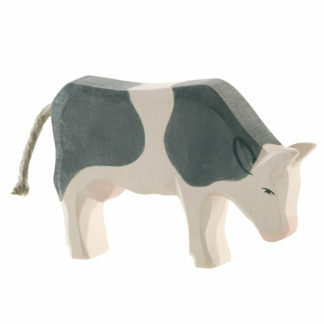 Hand-crafted wooden Ostheimer Ox Black and White figure from the Family & Farm Figures series. Hand-crafted in Germany and made using only wood from sustainable German domestic forestry. 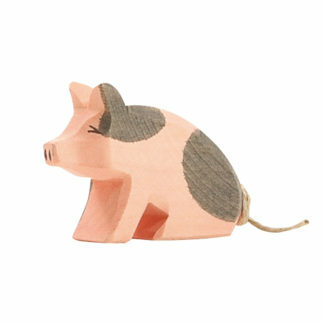 Individually hand shaped with love and care, each product is a unique item. Thus, Ostheimer toys allow children to immerse themselves into the vivid imaginative world of play. The quality and wonderful design of the figures has also made them a hit with collectors around the world too. All materials used in Ostheimer toys are certified and they guarantee not only toys of the highest quality but also, the safety of your child at play. 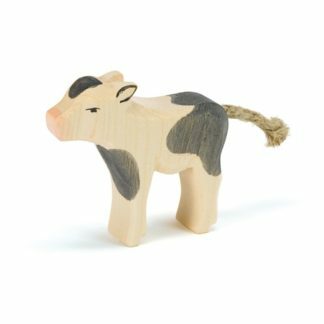 Why not explore the rest of the Ostheimer wooden figure range at LeVida Toys? Ostheimer are convinced that good, high-value products for children can only emerge from a profoundly responsible attitude and as a result take this responsibility very seriously. 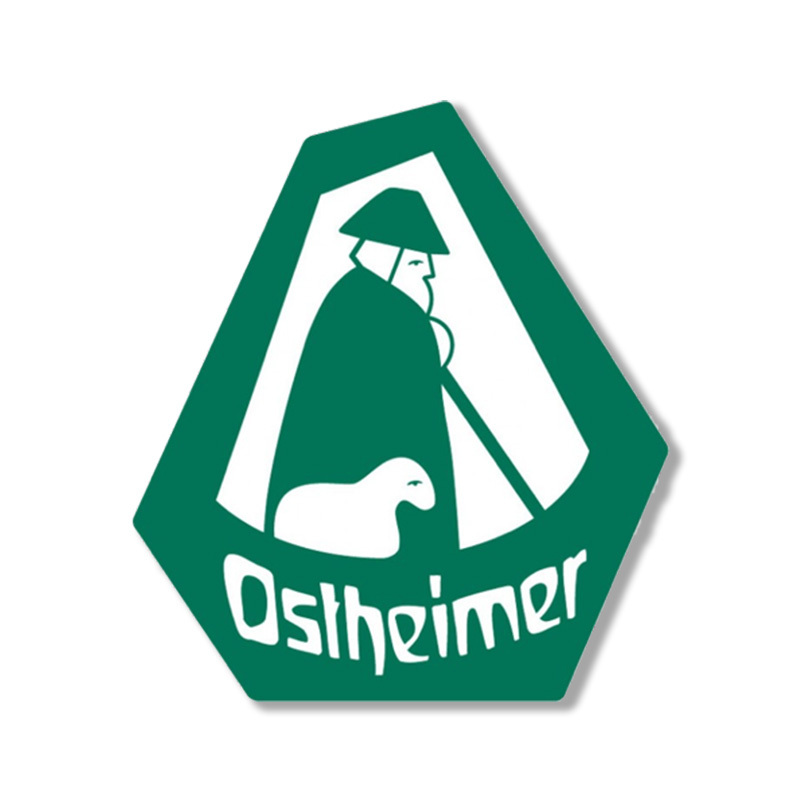 For more than 70 years Ostheimer has been carefully manufacturing wooden figures by hand. With a desire to provide children with a beautiful and pleasant image of our world with all its human beings and animals. They believe children do need such pictures to grow up healthy in our world. 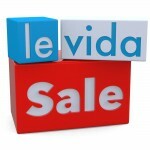 As a manufacturer of high-quality toys. Ostheimer always focuses on the children who will play with their products. They are convinced that while they engage in free imaginative playing they are able to take important steps in their development, they experience the beauty of childhood and gain talents that will strengthen them and help them to meet life with all its challenging aspects. That is the intention behind all Ostheimer toys. 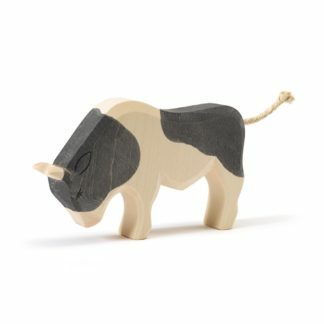 Good toys inspire children to embrace the world with all their senses and to roam freely in creative Play which is so essential for every healthy childhood. 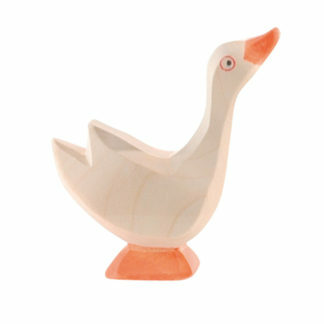 This idea has been our guideline during the past 70 years of producing hand-made toys of the highest quality. 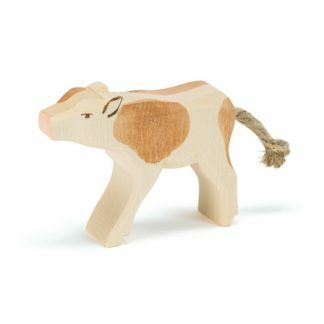 It is Ostheimer’s desire to provide children through toy figures with a beautiful and pleasant image of the world with all its human beings and animals. Children do need such pictures to grow up healthy in our world.